I heard a lovely story the other day about a young man who had just completed a written examination. Having left the exam room he sought out his teacher to tell her that he was unable to answer one of the questions and had just sat there not knowing what to do. Intrigued, his teacher asked him what was it about the question which made him think he couldn’t answer it. His explanation was simple and when viewed from a logical perspective, made perfect sense. The question was: Adolf Hitler was a dictator – discuss. His reasoning was that he knew he wasn’t allowed to talk in the exam room, so how could he possibly discuss it without disturbing everyone else! The young man in question is on the autistic spectrum (AS) and those on the AS often take things literally. I am confident though that we have all had to do a double take at some point, especially when trying to make sense of or instil meaning into something we have just read. A quick internet search will reveal many hilarious examples of exam questions that are not very well thought out or have obscure meanings. 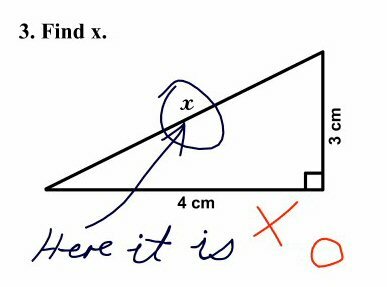 My personal favourite is the ‘Find X’ question and its even funnier, but totally logical answer. Find X? Simples! …well, it’s not wrong, is it? This is of course just one humorous example, but for those struggling to come to grips with arithmetic or mathematics, then ill thought out exam questions or just not understanding what is meant, can pose real problems. For those who may be Dyscalculic, then ‘doing sums’ is often a complete mystery. Unlike Dyslexia which normally affects literacy, Dyscalculia or Acalculia impacts on everyday numeracy skills. Dyscalculia can be described as having some difficulty in performing some aspects of arithmetic or mathematics. Acalculia on the other hand is the inability to perform arithmetic at all. Dyscalculia has probably been acknowledged for the same length of time as dyslexia, but not being able to do maths does not have the same stigma attached to it as not being able to read. Tell someone you cannot read and they are likely to look down on you. Tell someone you are not very good at maths and they will probably tell you that they aren’t either. Like dyslexia, dyscalculia does not affect intelligence. I once had a telephone call from a lady who was the Financial Director of a very large company. She had the ability to look down a balance sheet and to be able to spot any errors instantly. If she went into the local shop with a £1 coin and spent 60p, she would be totally unable to work out how much change she would receive. Her abilities with the balance sheet were no doubt about being able to recognise patterns in figures. Dyscalculia is a form of dyslexia and is commonly referred to as being dyslexic in maths. 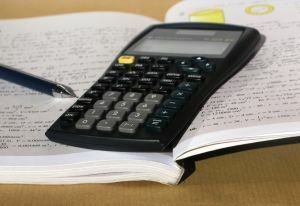 Someone with dyscalculia might struggle with figures, but they are often very good readers, which is why some teachers find it difficult to equate why one of their pupils excels in English, but finds maths so difficult. This is usually where the ‘must try harder’ or ‘just being lazy’ label often stems from. Fortunately, Dyscalculia is now starting to be recognised more. Unfortunately, if not identified and the right type of help given, then dyscalculic children invariably go on to become dyscalculic grown-ups. Unlike dyslexia, there is no formal diagnosis of dyscalculia, although dyscalculia screeners are becoming more widely used. Although we use mathematics in everyday life, probably without even realising it; stop and think for a moment how difficult it must be to function without the ability to do at least basic arithmetic. One of the indicators of Dyscalculia can be the inability to tell the time. Imagine trying to park your car, but being unable to work out the length of time needed and how much that will cost. Co-occurring difficulties can also add to the problems faced by those with dyscalculia. Dyspraxia, (often referred to as the clumsy form of dyslexia), can also have an effect. Dyspraxia mainly affects fine or gross motor skills, but those with dyspraxia often have problems telling left from right. The link between not knowing your right from your left and maths might not be instantly obvious, but when trying to work out arithmetical problems, then the need to know whether to start from the right hand side, when doing addition, subtraction or multiplication is vital. Likewise when tackling division, it’s essential to start from the left hand side. For some, the language of maths is the issue. The relationship between reading dyslexia is easy to spot. Maths symbols comprise a language of their own, so can be transposed or misinterpreted just like the letters of the alphabet, which is why 2 x 5 =7 is often given as being the right answer. The letter x is widely recognised as being the 24th letter of the alphabet. When applied to maths it suddenly and without any explanation, becomes the symbol for multiply. Sadly, there are people who believe that rote learning is the only way to boost maths skills and that being able to blindly recite your times tables is magically going to enable children to develop fluency in maths. For the dyscalculic learner, then no amount of rote learning will ever make a difference, as maths just doesn’t make sense to them. A student I am currently working with as part of a Dyscalculia Correction Programme has spent every Saturday for the last 4 years slaving away at a Japanese system for improving maths skills, where she blindly completed pages and pages of sums. Has it worked? No it hasn’t. She is no further forward with her maths than she was 4 years ago, except she now has a huge problem with maths anxiety and tests. She does though read, write and spell perfectly and is in the top set at school for English. To really understand maths, which is usually taught in a very abstract way, e.g. 4 x 4 = 16, then maths needs to be taught in a concrete, hands-on way and the concepts of maths fully explained. Once the dyscalculic person grasps the concepts of maths, then relating it to pencil and paper maths (abstract), becomes a whole lot easier. More and more occupations are insisting on a higher level of maths. From September 2013, trainee teachers will be required to pass tougher maths tests, regardless of the subject they will eventually teach. This will further be extended in the next few years with verbal, numerical and abstract reasoning skills also being tested. Trainees will be limited to two resits and the pass mark has also been raised.